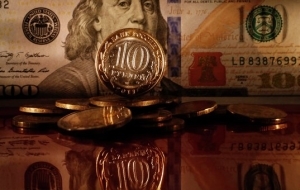 The market value of mortgage participation certificates (MPCs), GK-3, which invested the pension money funds former Manager of Sistema Yevgeny Novitsky posted on the website of the Agency on insurance of contributions (ASV). The certificates were issued under the pledge of rights of claim for loans the structure of the Sait-Salam Gutseriev Stonebell Traiding & Investments registered in Cyprus. The collateral for the loan become a Department store “the Petrovsky passage” and business center “Integral”. 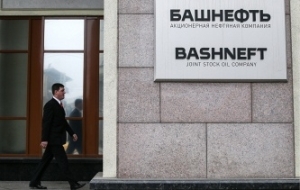 The loan sum made up of 24.63 billion rubles, and the value of collateral was estimated at 32.5 billion. According to ASV, in these papers the money was invested all six Nowicki funds — NPF “CCI”, “NPF Metallurgists”, NPF “Mechel”, NPF “Zerich”, NPF “the Ural financial house” and the First national pension Fund. The aggregate funds acquired Nowicki 482 thousand of the mortgage certificates, which were valued at book value of 3.27 billion rubles. It was about 10% of all assets of the funds Nowicki, whose volume at the time of the revocation of the pension of the group (in June 2016) was about 31 billion rubles. license of the pension group Yevgeny Novitsky became the biggest scandal on the pension market after the bankruptcy of the funds of the fugitive banker Anatoly Motylev. One of the foundations of NPF TPP, still continues the court proceedings, trying to challenge the license revocation. 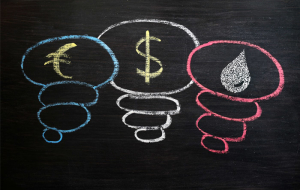 In ASV consider that the market value of the acquired Fund certificates for a 40% discount to their book value. According to the Center for independent examination of property, report of which appears on the Agency’s website, the market value of the certificate is 3.8 thousand RUB compared their book prices 6.2 thousand. Thus, the real market value of ISU GK-3, which owned the group’s funds Nowicki, could be 1.3 billion rubles. lower than stated in their statements. In addition, according to the appraiser, based on market cost of objects of collateral was significant lack of security. When the value of the principal amount of the debt at the level of RUB 24.6 billion market value of collateral estimated the total 9.87 billion. In this regard, the company, the appraiser recommended that the holders of the mortgage certificates to be aware of the risks associated with low cost objects. Equity of the company-borrower Stonebell Traiding & Investments, according to information Center of the independent examination of ownership, at the beginning of 2016 was 5.55 billion roubles, the profit of 86.9 million rubles. While the evaluator noted that until now, the borrower is not allowed arrears on payments. Mortgage participation certificates — registered securities non-equity paper, no-par value. Bonds can be traded on the exchange. The main goal of ISA is to identity the share of the owner in the common ownership of mortgage coverage. In addition, the certificate of participation confirms the right to receive cash for the execution of obligations requirements on which make a mortgage covering. Mortgage cover is a set of requirements on the return of the basic debt and payment of the interest that provides the mortgage. Requirements may be certified by mortgage loans or mortgage certificates of participation. On the Moscow stock exchange is now trading 15 mortgage participation certificates. According to the Bank, the main investors in MIS are non-state pension funds. The share Fund’s investment in mortgage securities at 30 June 2016 was 4.2% of pension savings. Estimates of ISU GK-5, is listed on the website of the DIA, at odds with the statements of the Trustee with certificates UK “Kapital the PIF”. The company got under the control of ISU in February 2016 instead of the criminal code “geo Capital”. According to managers, the size of the mortgage coverage on a single certificate GK-3 (corresponds to the book value) on 25 January 2017 was of 6.32 thousand RUB over the value of the collateral were estimated at more than 32 billion rubles (15.7 billion — “the Petrovsky passage” and 16.8 bln rubles Integral). Partner of Colliers International Stanislav Bibik believes that the cost of “Petrovsky passage” and business center “Integral” can vary between 12-25 billion rubles and according to the agreement of the owner with tenants on lease terms and discounts, and occupancy areas. General Director UK “Kapital the PIF” the novel of Shemendyuk not agree with the assessment of ISU GK-3 are provided on the website of the DIA. “We estimate the market value according to the methodology developed by the Central Bank. The market value is the price at which you can place the transaction for the purchase or sale of the certificates, and in this case it is just the estimated value of which does not guarantee anything”, — he said. Managing other investment companies, as well located customer funds of ISU GK-3, do not exclude, that the estimate of the value of the mortgage certificates given on the website of the DIA, could mean the minimum cost at which the Agency is ready to sell these securities at auction. “I think that with the latest stock exchange transactions buyers will be enough,” he said. According to the Moscow exchange, the last transaction with the ISU K-3 held on 24 January, the paper was sold at a price of 7.45 thousand. Certificates of GK-3, which was released about 4 million, in addition to Nowicki funds purchased and other participants of the pension market. 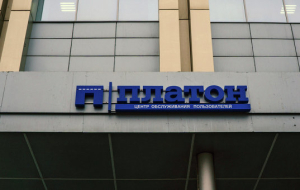 Two sources in management companies and in one large NPF said that a significant amount of securities repurchased, the funds that are included in the financial group Gutseriev — shishkhanova Safmar. “The rest were distributed by major pension funds,” he said, noting that among the owners of certificates there are also several individuals. According to the statements of the Fund IFRS for the first nine months of 2016, the volume of funds invested in the ISA, was 15.7 billion. NPF Safmar not disclose information about the presence in the pension portfolio of ISU GK-3. “The share of the mortgage certificates in the portfolio of the NPF group Safmar does not exceed the proportion permitted by law. Now comes the previously planned decline in the share of MPCs in the Fund’s portfolio,” said Fund spokesman. “NPF of electric power industry” and “LUKOIL-the Guarantor” has refused comments, in NPF “the Future” did not respond to a request . The Bank of Russia are unable to answer the question: should the NPF managers to review risks on certificates of GK-3 taking into account the estimates given on the website of the DIA. DIA has not responded to the request . The rating of the mortgage certificate and the value of collateral, which is provided on the website of DIA, does not mean that all urgently need to sell these papers, said General Director NPF of the top 5. According to him, investments in ISA permitted by regulations of the Central Bank, therefore formal claims from the regulator to the funds should not be. He also noted that the valuation of the mortgage certificates, GK-3 and collateral looks too conservative. “Maybe the appraiser has questions for the liquidity of paper, but in this case, the quality of the collateral ensures that the borrower is more important to pay off the loan than to lose the property,” he said. 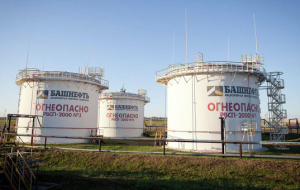 According to General Director NPF “LUKOIL-Garant” Dennis, Rudomanenko, the assessment of risks of investment of NPF it is necessary to understand how significant the amount the Fund invested in a particular paper. “If it’s only 1-2% of the assets and the rest invested in bonds and deposits, then I would not call the investment policy of the Fund is risky,” he says. Rudomanenko noted that the funds can invest some assets in risky instruments, to provide higher income customers. 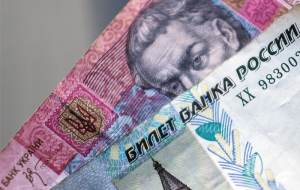 “We believe investment in this ISA high-risk, so the rating of these securities is quite low,” said managing Director for corporate ratings RAEX Pavel Mitrofanov. In September 2015, the Agency assigned a GK-3 rating at B++ (“acceptable level of reliability”) . In comments to analysts RAEX noted the low liquidity of the borrower (Stonebell Traiding & Investments), debt payments which considerably exceeded proceeds from operating activities, as well as the high level of debt and the dependence of its business from financing by the owner. The Agency believed that if needed, the beneficiary Stonebell Traiding & Investments (Gutseriev) can support the company in servicing the debt. “From this point of view, funds have no incentive to sell these certificates, because they are important, not their liquidity, and the timely receipt of payments from the borrower, due to which they receive income by ISU”, — said Mitrofanov.